Well, today is Easter. I hear a lot of Christians railing against pagan elements in Easter wanting them taken out, even wanting the name Easter to be removed. I hear a lot of pagans trying to "reclaim" Easter from the Christians. Does it matter, either way? Growing up, we celebrated Easter with Easter bunnies and Easter eggs. We had a lot of fun dying eggs and looking for them the next day. It was a time to get candy, as were Halloween and Christmas. I ate some and horded the rest, just as I did on the other two. While on Christmas Eve, my dad always read us the Christmas story from the Book of Luke to the light of a candy, we did nothing that was Christian on Easter. I didn't know it was a Christian holiday, honestly, or at least that fact didn't mean enough for me to remember knowing it. But neither was it pagan. We didn't dye eggs as a tribute to Eoster or Ishtar. There was no religion in our celebration of Easter, Christian or pagan. It was merely a fun holiday to do fun things as a family. Like Halloween was. The Christian story of Easter begins on Good Friday (well, it begins long before that, but Good Friday is a good place to start in this discussion) with the Crucifixion. 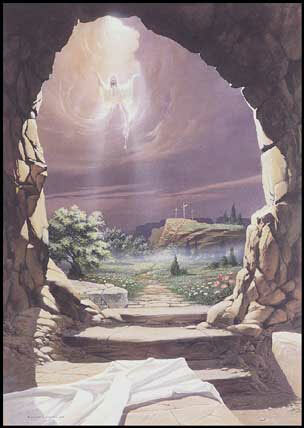 Good Friday is Death, Easter Rebirth. Easter can't happen without Good Friday, but Good Friday is a waste without Easter. Jesus died and was in the Tome for three days, then was reborn. The pagan spring fertility holidays have similar messages. Fall brings the Death of Winter. Spring brings Rebirth. Without Fall, Spring cannot come. Without the Rebrith of Spring, Winter never ends. The Earth dies in the Fall and is in the Tome of snow for the Winter, being Reborn in the Spring. All stories are one story. All history one history. The Earth tells the story of Christ, and Christ tell s the story of the Earth. The same story is echoed in many cultures and myths. Is Easter Christian? Is it pagan? Does it matter? If only everyone was willing to see things with such an open mind.